Every year at the "Pallium Mass", on the feast day of Saints Peter and Paul (June 29), the pope bestows pallium on all the new metropolitans elevated within the past year. 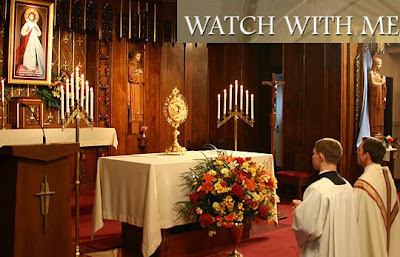 As part of our continuing coverage of the Year for Priests, CatholicTV® will air this special Mass live at 3:30 a.m. (Eastern) and you can watch it by clicking "Watch CatholicTV Live" from anywhere at www.CatholicTV.com, Your Catholic Broadband Network®. The pallium is a circular stole made of lamb's wool, symbolizing the archbishop's role as a true 'shepherd' of the archdiocese he serves. America's Catholic Television Network will rebroadcast the Mass at noon and 8 p.m. (Eastern) and it will also be available on demand in two parts at CatholicTV.com's "Papal Programming" page that morning. Among the new archbishops that will receive the pallium are American prelates Archbishop Gregory Aymond of New Orleans; Archbishop Robert Carlson of Saint Louis; Archbishop Timothy Dolan of New York; Archbishop George Lucas of Omaha; and Archbishop Allen Vigneron of Detroit. At our Cathedral Events page you can relive the installation Masses of Archbishops Carlson and Dolan. CatholicTV brings programming from Vatican City to the inner city all year round. Beginning in July we salute America's Catholic Church with programming from the Basilica of the National Shrine of the Immaculate Conception featuring Pope Benedict XVI's visit there in 2008; a new triduum with Archbishop Donald Wuerl; the Glorious Mysteries and Luminous Mysteries of The Rosary with Father Robert Reed and our travel series Catholic Destinations with Kevin Nelson. 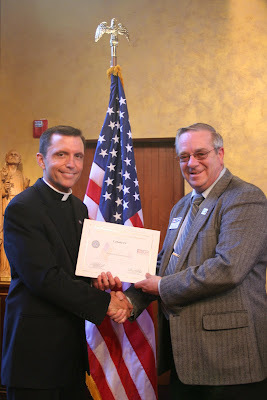 On June 30th, CatholicTV will receive The Patriot Award from the Employer Support of the Guard and Reserve organization at the CatholicTV studios in Watertown, MA. Colonel Joseph Mercuri (retired) will present the award at 12:30PM (Eastern). CatholicTV was nominated for the award by Dave Wilkinson a videographer and editor in our production department. Dave (a native of Danvers, MA) was recently promoted to Sergeant and recently took a leave from CatholicTV in order to serve his country in Iraq. He is a graduate of the Boston University Center of Digital Imaging Arts and functions as Truck Commander for the Army National Guard. According to the ESGR website (Employer Support of the Guard and Reserve), employers can support Guard and Reserve employees in many ways such as “publicly acknowledging the contributions of Reserve component employees to our Nation’s defense.” Dave was recently featured on the CatholicTV talk show “This is the Day” along with actress Jessica Rey who played the part of one of the Power Rangers on the children’s show. 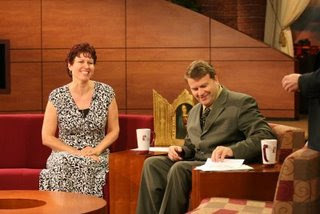 On his last day before leave, Dave appeared on the CatholicTV signature talk show This is the Day. 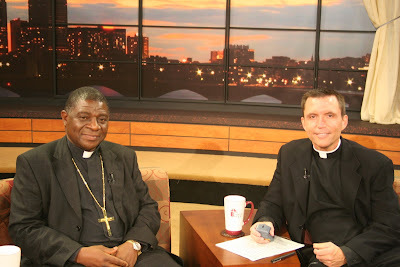 His appearance is near the end of the show which can be viewed at the CatholicTV website by clicking here http://www.catholictv.com/shows/default.aspx?seriesID=72&videoID=89. Dr. Derry Connolly, President of John Paul the Great Catholic University (JP Catholic) will be featured in an interview on CatholicTV. JP Catholic is one of the newest Catholic universities in America. It is located in San Diego, CA. 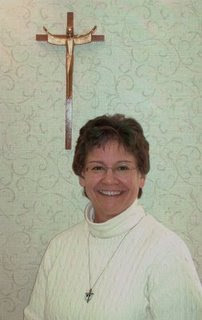 Dr. Connolly is one of the original founders of JP Catholic and was originally inspired to start a university after witnessing 1000 students attend Mass at Franciscan University in Steubenville, OH. “These kids were absolutely on fire for their faith.” recalled Connolly in an interview posted on online. “Pope John Paul II would say that to be a great Catholic university, you have to be first a great Catholic organization and then secondly a great university.” said Connolly in the same interview (The Weight of Glory Blog). Inspired by the faith of the students in Steubenville and a desire to start a quality school which would be faithful to Catholic teaching, Connolly and other co-founders started JP Catholic. Classes began in 2006. The first class will graduate in December 2009. 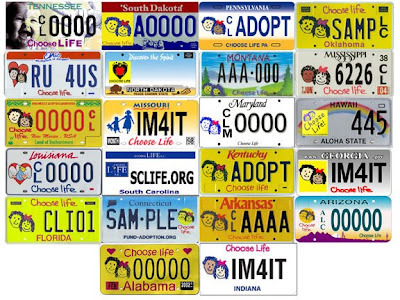 Also featured on “This is the Day” will be Joseph Curto, founder of Catholics for Christ- an organization designed to evangelize different people at different spiritual levels using evangelistic meetings, missions, retreats, and seminars. Mr. Curto has spoken hundreds of times, helping Catholics deepen their personal relationship with the Father, Son, and Holy Spirit. Currently a parishioner at St Francis de Sales in Purcellville,Virginia, Joe has served on the Pastoral council for 3 years and currently conducts a weekly Adult Bible Study, and facilitates the St. Francis de Sales Charismatic Prayer Group “Refuge.” In addition, Joe serves the Diocese of Arlington as a board member of Charismatic Renewal Service Committee (CRSC). Each day, the United States Conference of Catholic Bishops (USCCB) website offers video scripture reflections on the day’s Mass readings. Father Robert Reed, Director of CatholicTV, will give these reflections on June 25th and June 27th. Although the USCCB website is promoting a 2000-year-old Catholic faith, the website uses modern means such as streaming video to spread the Gospel. The USCCB website also offers movie reviews (http://www.usccb.org/movies/), an online NAB bible, and an online Catechism among other features. Each day, a different priest or lay person offers video scripture reflections. These priests and lay people come from all around the country and even include students such as Jonathan Jerome from the Catholic University of America. Priests include both diocesan and religious order priests. These short video clips range from 2 to 4 minutes and can be embedded into any website. Father Robert Reed is a priest of the Archdiocese of Boston and also Director of CatholicTV. Fr. 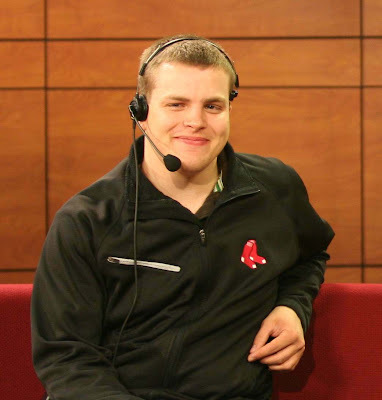 Reed co-hosts the talk show “This is the Day”, presides frequently in the televised Masses and rosaries on CatholicTV, hosts the Catholic game show “Wow: The CatholicTV Challenge”, and also stars as the voice of the animated dog “Nosey” on the same show. Fr. Reed also assists at area parishes during weekends. In order to see his reflections at the USCCB website, visit this link on or after June 25th and June 27th. CatholicTV is now airing the television series “Defenders of the Faith”. The show is hosted by Catholic apologist and convert Stephen Ray. “Defenders of the Faith” features a unique combination of travel and footage of far away holy places and interviews of Catholic converts. “Defenders of the Faith” is new to CatholicTV this year and can be seen each week at CatholicTV.com or on CatholicTV where available. The host of “Defenders of the Faith”, Stephen Ray, was a Protestant for 37 years until he and his wife converted to the Catholic faith in 1994. Since then, Mr. Ray has produced numerous documentaries and programs promoting the Catholic faith. He has also conducted several highly successful conferences in conjunction with other Catholic converts. He is a regular guest on many radio and television programs, Steven recently appeared on CatholicTV’s live program This is the Day to discuss the new series. Stephen has also written several books including “Crossing the Tiber: Evangelical Protestants Discover the Historic Church”. In addition to interviews of Catholics (many of whom are converts), “Defenders of the Faith” also teaches viewers basics of the Catholic faith. Starting in July, CatholicTV will air a 3-part series called “Gospel in Mosaic” in which Washington’s Archbishop Donald Wuerl teaches viewers about the gospel and the Rosary using the intricate domes and mosaics in the National Shrine. Also in July, CatholicTV’s travel show “Catholic Destinations” will include a 2-part special on the National Shrine including detailed video footage. 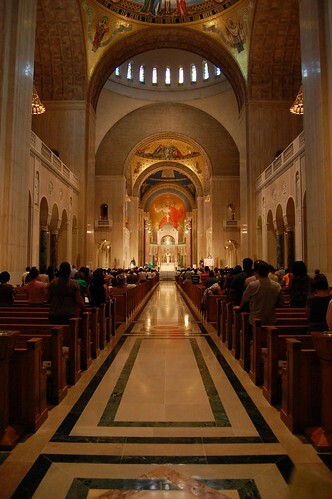 The National Shrine is also known as The Basilica of the National Shrine of the Immaculate Conception. The basilica houses an incredible 70 chapels honoring Mary. Many of these chapels will be explored on the show “Catholic Destinations”. The main seating area of the Basilica is surrounded by chapels which have images of well-known Marian apparitions such as Our Lady of Guadalupe in Mexico, Our Lady of the Miraculous Medal, and many others. These chapels in the main seating area all contain beautiful mosaics which are rarely seen in the modern churches in the United States. The “Catholic Destinations” episodes featuring the Basilica will include commentary about the history of the Basilica from then-rector of the Basilica Monsignor Michael Bransfield. In the 3-part series called “Gospel in the Mosaic”, Archbishop Wuerl discusses the Gospel and the rosary while using the various domes of the Basilica as reference points. For instance, Archbishop Wuerl discusses the nativity, Jesus’ first miracle at Cana, and the transfiguration while cameras display the Incarnation Dome of the Basilica. Fri. July 3 Part 1: 9 a.m., 8:30 p.m. Sat. July 4 Part 2: 9 a.m., 8:30 p.m.
Sun. July 5 Part 3: 9 a.m., 8:30 p.m.
Part 1: Mon. 11 a.m., Wed. 8 p.m., Fri 1 a.m.
Part 2: Mon. 11 a.m., Wed. 8 p.m., Fri 1 a.m.
Part 3: Mon. 11 a.m., Wed. 8 p.m., Fri 1 a.m.
Part 3: Fri 1 a.m.
Mon. 4:30 a.m., Tue. 2:30 p.m., Wed. 8:30 a.m., Fri. 5 a.m.
and 5:30 p.m., Sun. 2:30 p.m.
On Sunday, June 21st Pope Benedict XVI will visit Padre Pio’s tomb at San Giovanni Rotundo, Italy. His visit will include adoration of the Blessed Sacrament, a visit of Padre Pio’s tomb, Mass, and finally a meeting with employees of the hospital which Padre Pio established. Television coverage of this papal visit will be broadcast online at CatholicTV.com and also on CatholicTV where available. The Pope will arrive on Sunday by helicopter at 9:15AM, and take the Popemobile through the city until arriving at Our Lady of Grace Sanctuary.There, representatives of the community of Capuchin Friars Minor will welcome him, and he will have a time of adoration of the Blessed Sacrament. The Holy Father will also visit the first cell of the monastery, where Padre Pio died in 1968. Then, the Pontiff will go to the crypt to pray before the tomb of the saint. There he will be accompanied only by Capuchins. He will light two candles before the tomb, symbolizing his apostolic visit and that of Pope John Paul II.Benedict XVI will vest for Mass in the sacristy there and be transferred by Popemobile to the Plaza of the Church of San Pio de Pietrelcina, where he will preside over a 10:15AM Eucharistic celebration. After Mass, he will pray the midday Angelus in the same place.At 4:45PM, the Holy Father will meet with directors, employees and patients of the hospital established by Padre Pio, the Casa Sollievo della Sofferenza the "Home to Relieve Suffering." Afterward, the Pope will return to the Church of San Pio de Pietrelcina, where he will meet with priests, religious and youth. The Pontiff will return to Rome by helicopter, arriving at the Vatican at 7:30. The Pope’s visit will broadcast on CatholicTV on Sunday, June 21st at 8PM (Eastern). This visit will rebroadcast on Monday, June 22nd at noon. 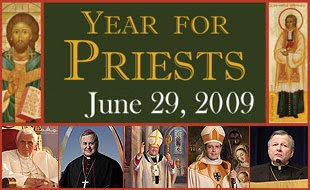 To begin the Year of the Priest on Friday, June 19th, CatholicTV.com and CatholicTV will also air Vespers from St. Peter’s Basilica. Pope Benedict has announced the Church will celebrate a special year for priests to begin on June 19th, the 150th anniversary of the death of the Cure d'Ars, St Jean Vianney. The Pope will inaugurate the year on June 19th by presiding at Vespers in St Peter's Basilica, where the relics of the 'Cure of Ars' will be brought for the occasion by Bishop Guy Bagnard of Belley-Ars, France. Vespers will air at CatholicTV.com and on CatholicTV on Friday, June 19th at 8:30PM (Eastern) and will rebroadcast at noon on Saturday, June 20th. 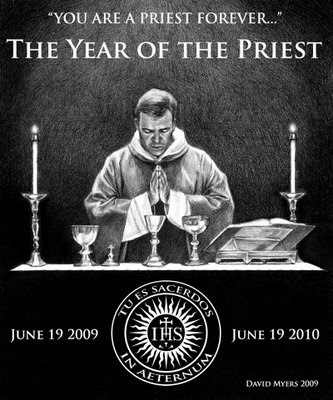 Throughout the year CatholicTV will offer special presentations to honor the Year of the Priest. The Holy See will be granting Plenary and Partial Indulgences to Priests and Faithful who participate in different celebrations. The most notable dates on which one may receive the Indulgence are June 19, 2009, August 4, 2009, June 19, 2010 and every first Thursday of each month. Depending on the pastors, maybe a monthly Mass could be celebrated at each location. Sister Elyse and Sister Lovina of the Chicago Archdiocese chatted with Father Robert Reed and Jay Fadden about the many ways that vocations are encouraged. Also, Sister Helen Prejean, CSJ discussed her experiences with death row inmates and the promotion of the dignity of life at all stages. 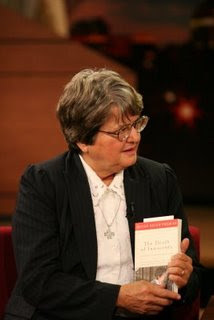 On Friday, June 12th, Sr. Helen Prejean, CSJ will appear on the CatholicTV talk show “This is the Day” as an in-studio guest. 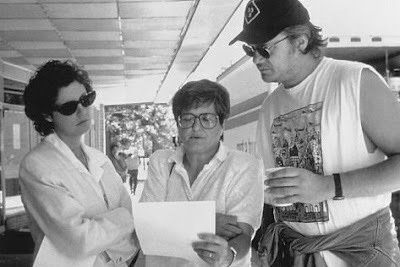 Sr. Helen is the author of the book “Dead Man Walking”, which inspired the film of the same name starring Sean Penn and Susan Sarandon. This film depicts Sr. Helen’s interactions with a death row inmate. On “This is the Day”, Sr. Helen will discuss the movie and the book “Dead Man Walking”. Susan Sarandon won an Academy Award for Best Actress in this film. Sr. Helen will also discuss her new book “The Death of the Innocents”. This new book walks readers through the cases of 2 death row inmates who were “convicted of murder on flimsy evidence”. Sr. Helen describes in detail the moments before their deaths and how she witnessed their executions. Sr. Helen also plans to write a book about her spiritual journey against the culture of death. Also featured on “This is the Day” will be sisters Elyse Marie Ramirez, OP, and Sister Lovina Francis Pammit, OSF, vocations directors in Illinois and coordinators of “the Nun Run” in Chicago. “The Nun Run” is a 24-hour visit of various religious orders in which women are allowed to explore a potential vocation to religious life. These guests can be seen on Friday, June 12th live at 10:30AM (EST) on CatholicTV where available (rebroadcast at 8PM). During the week of Monday, June 15th a documentary named “Enduring Faith” will air on CatholicTV. This documentary portrays the struggle to establish an African American clergy in the American Catholic Church. The documentary is narrated by Emmy Award-Winning actor Andre Braugher, an African American who played roles in the movies “City of Angels”, “Glory”, and “Rise of the Silver Surfer”. "Enduring Faith" tells of the courage and ultimate despair of early black Josephite priests and the pivotal role of Rome in forcing the American Church to open its doors to blacks. The Society of Saint Joseph of the Sacred Heart, known as Josephites, is based in Baltimore, MD. Andre Braugher stated, “I've always found the spiritual struggle of black Catholics to be a fascinating one, but I never knew the breadth and depth of their history in America until I became involved in this project." He went on to say, "It sharpens for me the debt of gratitude that today's black Catholics owe to what are in essence the pioneers of black Catholicism." Enduring Faith, produced by Daybreak TV Productions of the Diocese of Buffalo, received major funding from the Catholic Communication Campaign of the United States Catholic Conference of Bishops. During the week of Monday, June 15th, “Enduring Faith” will air at the following times (Eastern): Tuesday-11:30AM; Wednesday-5AM; Friday-8AM; Sunday 10:30PM. This month, a new music television series will air on CatholicTV. The series known as “The Commons”, is a coffee house-styled music show which includes performances by Catholic musicians such as Matt Maher, Sarah Hart, and others. Below is the schedule for the show including the names of guests featured. Each episode includes interviews of musicians in addition to the musical performances. Artists often discuss their faith, inspirations behind songs, and their lives in general. Dates shown are the Monday’s dates of each broadcast week. Monday-10:30PM(EST); Thursday 2AM & 6PM; Saturday-9:30PM. Starting this month, CatholicTV will air the “Limitless” documentary series. This series features missionaries from the Society of the Divine Word. The episodes on CatholicTV will include incredible stories of missionaries to “garbage people” in the Philippines as well as Mindoro, where a unique group of indigenous people live on a remote island. These documentaries will be shown during the month of June on CatholicTV. According to the website of the Society of the Divine Word (SVD), they are the only major congregation of religious men which has shown steady growth over the last 30 years. There are more than 6,000 SVDs with 35 nationalities working in 67 countries worldwide. The SVD’s work primarily where the Gospel has not been preached at all or only insufficiently, and where the local Church is not yet viable on its own. Fr. Heinz Kuluke’s story will be one of those shown on CatholicTV. This documentary filmed in Cebu, tells the story of Fr. Heinze and his ministry to over 3000 men, women, and children, who work, live, and sleep at garbage dumps. He once lived there himself. After being troubled by the conditions he saw at the dumps, Fr. Heinz tried to find ways to get help for the people, but found that in a legal sense “they didn’t’ exist” and no one seemed to care about them. In order to understand their plight better, he came to live with the people and still visits them regularly. He also ministers to the girls from Cebu’s red light district. Another documentary in the “Limitless” series to air on CatholicTV depicts the story of Fr. Ewald Dinter. The story is told of how Fr. 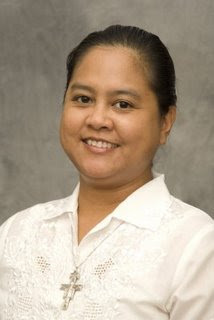 Dinter fights for the rights of the Mangyan people, who live on a small island in the Philippines. The documentary tells the story of how Fr. Dinter fights for the rights of the Mangyan people who used to own their own island, but whose land continues to be taken from them. In addition, Fr. Dinter provides the people with educational opportunities. Fridays- 8AM-9AM; Sundays 10:30PM-11:30PM; Tuesdays-11:30AM-12:30PM; Wednesdays-5AM-6AM. In honor of Archbishop-elect Carlson’s upcoming installation as Archbishop, CatholicTV is highlighting several religious sites in St. Louis on the CatholicTV travel show “Catholic Destinations” starting Monday, June 8th. The installation of the Archbishop will take place on June 10th in the Cathedral Basilica of St. Louis located in the Central West End of St. Louis. *National Shrine of Our Lady of the Snows (15 minutes from downtown St. Louis)- This is the nation’s largest outdoor shrine. Thursday-6:30AM-7:30AM; Friday-9PM-10PM, 5AM-5:30AM & 5:30PM-6PM; Saturday 10:30AM-11:30AM; Sunday-2AM-3AM & 2:30PM-3PM; Monday-2PM-3PM & 4:30AM-5AM; Tuesday, 10PM-11PM & 2:30PM-3PM; Wednesday-4PM-5PM & 8:30PM-9PM. In addition to the “Catholic Destinations” focus on St. Louis, CatholicTV will also air the installation Mass of Archbishop-elect Robert Carlson on Wednesday, June 10th at 3PM (Eastern) and again at 8PM. The beautiful Cathedral Basilica of Saint Louis welcomes visitors to view the largest collection of mosaic art in the world. Pope Paul VI called the structure "the outstanding cathedral of the Americas." Designated a basilica in 1997, the cathedral was built in the city's Central West End neighborhood between 1907 and 1909. Its glittering green dome is a prominent feature of the St. Louis skyline and its vast and detailed interior mosaics cover 83,000 square feet and took nearly 80 years to complete. The mosaics of the main church and the vestibule were installed by a father and son who used more than 41 million pieces of tile in over 7,000 colors to create their art. On the lower level of the cathedral, the Mosaic Museum traces the construction of the facility and the installation of the tiles to create the art. When St. Louis was founded by French fur traders in 1764, one of the first buildings constructed in the infant town was a church. Built on the site of that first church in 1834, the Old Cathedral, known officially as the Basilica of St. Louis, King of France, sits near the base of the Gateway Arch on land that is now part of the Jefferson National Expansion Memorial. Inside the Old Cathedral Museum, visitors can see pieces of St. Louis' early history including the original church bell, and religious art from the late 1700s. From 1826 to 1843, the St. Louis diocese, headquartered at the Old Cathedral, covered nearly half of America, from Louisiana north to Michigan, from Kentucky west to Oregon and from the state of Washington along the Canadian border to the Great Lakes. Pope John XXIII decreed the church a basilica in 1961. Located at the corner of 11th and Biddle on the near north side of downtown St. Louis, St. Joseph's church opened in 1846. The church was noted as the site of a miracle that saved the life of a dying man who was healed after kissing a relic of St. Peter Claver. The miracle was authenticated as one of two miracles needed to canonize St. Peter Claver, who is known for his work among the African people of the Americas. The central altar, called the Altar of Answered Prayers, was installed in 1867, after the parishioners prayed to St. Joseph and asked him to intercede and save them from a deadly cholera epidemic that swept the city. The Italian Renaissance-style altar was designed to replicate the Altar of St. Ignatius at the Jesuit Gesu Church in Rome. America's largest outdoor shrine, the National Shrine of Our Lady of the Snows, is located 15 minutes from downtown St. Louis in Belleville, Illinois. Founded in 1958, the Shrine is open to people of all faiths. Its amphitheater seats 2,400 people for special Liturgies and other events that occur throughout the year. The Resurrection Garden, the Way of the Cross and the Annunciation Garden are popular stops during visits to the Shrine. The Lourdes Grotto is a replica of the famous Grotto in Lourdes, France. Daily Masses are held in the Church of Our Lady of the Snows. During the year, the shrine hosts a variety of special events including Hispanic and African cultural celebrations, the Our Lady of the Snows Novena and the popular Way of Lights drive through a holiday display that tells the story of the first Christmas with hundreds of thousands of tiny, white lights. On Wednesday, June 10th, CatholicTV will broadcast the installation Mass of Archbishop-elect Robert Carlson from the Cathedral Basilica of Saint Louis. The Mass will air live at 3PM (EST) and will be rebroadcast at 8PM. The installation Mass will also be on at CatholicTV.com. Archbishop-elect Carlson will be installed by Justin Cardinal Rigali, the Archbishop of Philadelphia and former Archbishop of St. Louis himself. Many American cardinals and bishops will be present for the Mass. Interestingly, Archbishop-elect Carlson also served at the University of St. Thomas, where he was a chaplain to the hockey team. As Archbishop, Carlson will be the spiritual leader of 500,000 Catholics in eastern Missouri. Carlson survived stage-four bladder cancer in the 1990s, having once been told by his doctor to arrange his will in order to prepare for an imminent death. He has undergone a total of seven cancer-related procedures, and partly credited a trip to the Sanctuary of Our Lady of Fátima in Portugal for his recovery. Founder Of The Nation’s Largest Parish-Based Youth Conference To Be Featured on "This Is The Day"
Mike Zak, the founder of the HERE I AM LORD vocation conferences, will appear on the CatholicTV talk show “This Is The Day”. The show “This Is The Day” will stream live at www. CatholicTV.com as well as on CatholicTV (where available) on Friday, June 5th at 10:30AM Eastern. Also on the show, will be Steve Jubin, Regional Director of Ignatian Volunteer Corps. Mike Zak is founder and Executive Director of the HERE I AM LORD vocation conferences. The annual conference was started in 2002 on an inspiration that resulted from a teenage girl’s cynical statement that her milestones in life would include college, a job, marriage, and then divorce. “Her comment struck a chord with me because it spoke of the realities that so many of our young people face: The reality of divorce,” Zak said. Despite his reluctance, Zak found himself organizing what would become the nation’s largest parish-based youth conference. The conference features lay persons as well as priests and religious. Held in the Rockford Diocese, the program works with parishes in the nearby Joliet Diocese as well. Attendance for the conferences has been as high as 3,000 plus. Also on “This is the Day” will be Steve Jubin, Regional Director of Ignatian Volunteer Corps (IVC). IVC is a program for retired women and men, age 50 and over who minister to the poor while spending formal time reflecting on their ministry. IVC has almost 300 volunteers working in 15 regions across the country. Although IVC was started by 2 Catholic priests, IVC accepts and encourages Ignatian volunteers of all Christian faiths. The program itself is rooted in the spirituality of St. Ignatius of Loyola, founder of the Society of Jesus. Starting in June, CatholicTV will air a new reality show called “House+Home”. “House+Home” is a Catholic reality T.V. show taking viewers into Catholic homes with Catholic families. For the month of June, CatholicTV will air the pilot episode of the new series and also offers the pilot episode in its entirety right now at CatholicTV.com free of charge or obligation. The pilot episode of House+Home takes viewers into the home of the Richard Family. Although their family looks quite normal from the outside, the show reveals a unique Catholic family with a strong faith. Not long afterwards, to Laura and Michael’s amazement, the couple announced to Alexis that they were expecting triplets, to which Alexis replied “there are 2 boys and one girl”. Laura told Fr. Reed on “House and Home” that Alexis turned out to be correct about the sexes of the triplets. The pilot episode of House+Home also takes viewers through the ordinary parts of Catholic family life such as work, cooking, and leisure. Michael, the father, even discusses financial challenges and how “Whenever we seem to be in a pinch, just relying on our faith, things happen to come through in the nick of time and it happens more often than not.” The Richards also mention briefly how they home-school their 4 children. Each episode of “House+Home” is hosted by Director of CatholicTV Fr. Robert Reed. The pilot episode of “House+Home” shows Father Reed interviewing, and even cooking pizza with the Richard family. In the pilot episode of “House+Home”, Fr. Reed interviews all family members including the triplets. The television schedule for “House+Home” is as follows: Mondays at 11AM (EST); Wednesdays at 8PM; and Friday’s at 1AM. CatholicTV expects to launch the series in September 2009.